For many years the historical environment of the mansion among the visitors was resembled only by the Fireplace Hall, famous for magnificent concerts held there. 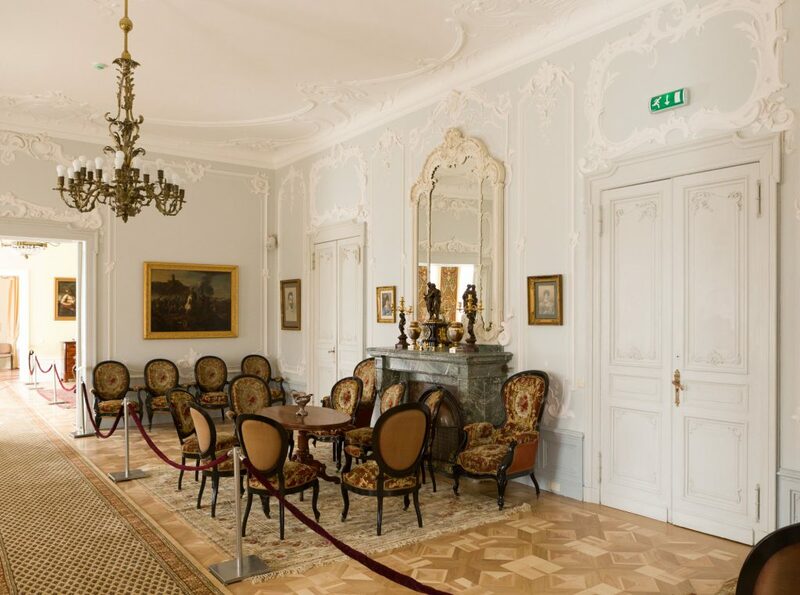 Nowadays visitors can learn about the late 18th century – the early 20th century interiors in residency of counts Tiškevičiai in Palanga by exploring The Great Lobby, The Great Parlour, known as The Red Parlour, The Boudoir of Countess, The Blue Saloon, The Cabinet of Count, The Minor Saloon (reception room of Count). The Great Dining Room was turned into a cosy concert hall. Exhibited values are from Lithuanian Art Museum collections assembled from relics received from residency of counts Tiškevičiai and the other mansions of nobles. 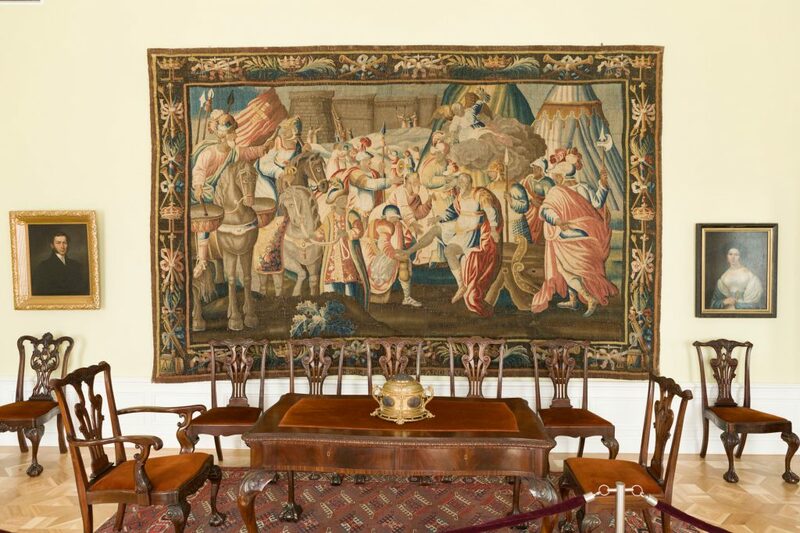 Most of the displayed furniture, carpets, minor plastic arts and paintings were restored and preserved by the specialists of the museum who found these items during the 20th century in the devastated mansions. The other part of the exhibits Lithuanian Art Museum purchased, received as gifts or took over from the other museums. 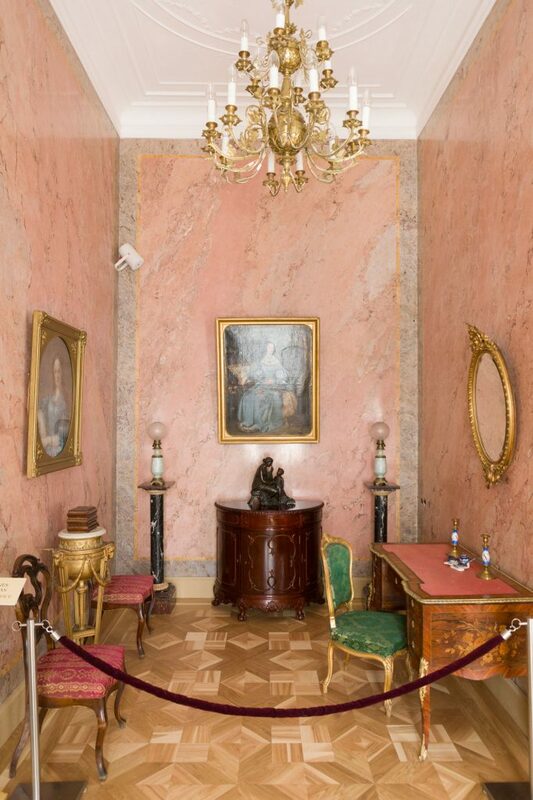 Furniture, which is a bigger part of the exhibition, vary in styles: attributing to Baroque, Louis XV, Neo-Empire style, Chippendale, Classicism, Neo-Renaissance, Neo-Gothic, Neoclassicism, Neo-Rococo, Boulle; mostly made of solid wood, carved, engraved, grinded, encrusted. 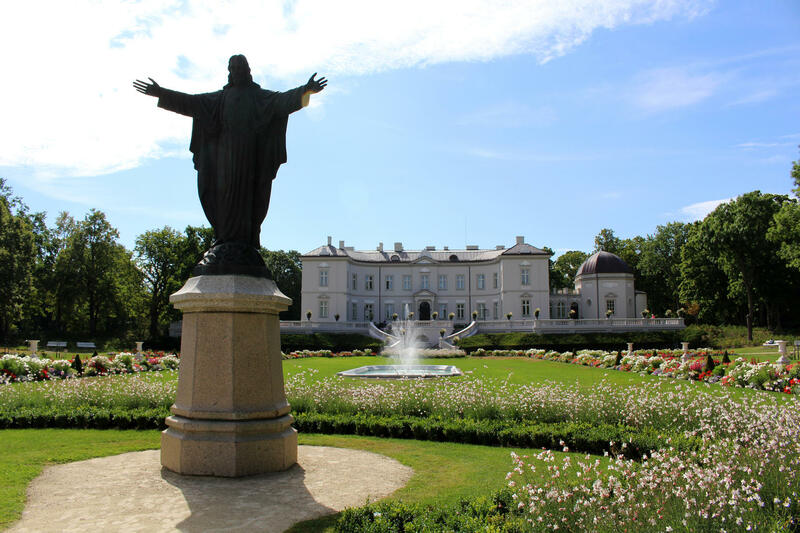 During the 17th – 19th centuries in the mansions of Lithuanian noble various antiquities were accumulated, such as fine and applied art, old weapons, numismatics, archaeological artifacts, exotic articles brought from distant lands. Collection of antique articles was gathered by counts Tiškevičiai – one of the wealthiest nobles of the 19th century Lithuania. Several representatives of Tiškevičiai family had antiquities in their collections: brothers archaeologists Konstantinas (1806–1868) and Eustachijus (1814–1873) Tiškevičiai, Benediktas Henrikas Tiškevičius (1852–1935), Mykolas Tiškevičius (1828–1897). They not only accumulated antiquities, but also researched the monuments of the cultural heritage of the Grand Duchy of Lithuania and other European countries.